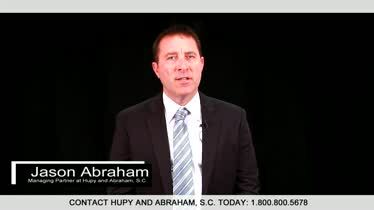 Iowa Nursing Home Abuse and Neglect Lawyers | Hupy and Abraham, S.C.
Hupy and Abraham, S.C. 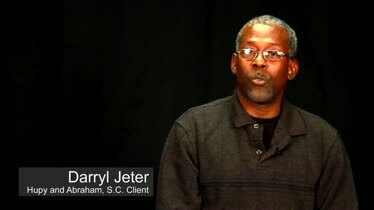 Client Testimonial - Darryl Jeter Hupy and Abraham, S.C. client Darryl Jeter talks about what it was like working with the firm on his nursing home neglect case. Report after report suggests that we don’t have enough information to accurately report nursing home abuse and neglect statistics. Nursing home staff may underreport such incidents and nursing home residents may be unable to report the injuries they suffer. Yet, reports also suggest that a sizeable percentage of nursing home residents have been neglected or abused in the very places that are supposed to keep them safe. Every nursing home resident, in Iowa and around the country, deserves to live with dignity and free of neglect and abuse. We are committed to holding those who wrongfully harm nursing home residents accountable. If your loved one has been hurt in an Iowa nursing home then we encourage you to learn more about what you can do—and about what we can do together—to help makes things right. You can start now by reading this page and downloading our FREE Guide for Nursing Home Abuse and Neglect Victims. Nursing home neglect occurs whenever nursing home staff fails to provide reasonable care to a resident and the resident is injured as a result. Nursing home abuse occurs because of the intentional actions of nursing home staff. Understaffing of nursing homes. If the nursing home administrators fail to have enough staff scheduled for each shift then it may be impossible for the staff members who are working to meet the needs of nursing home residents. As a result, some nursing home residents may suffer from neglect. Lack of reasonable staff training. Nursing home staff members have important and often stressful jobs. If they do not have the right training then they may not be able to provide reasonable care and serious injuries can result. Intentional acts of abuse. Sometimes it is not neglect but rather deliberate acts that cause injuries. Medication errors. It is the responsibility of the nursing home to make sure that your loved one takes her prescribed medications at the right time. Malnutrition or dehydration. Nursing home personnel also have a duty to take reasonable steps to assess how much food and water your loved one is ingesting and to make adjustments to make sure that your loved one is getting adequate nutrition and hydration. Wandering and elopement. Your loved one’s risk of wandering or leaving nursing home grounds unattended should be assessed, and a plan should be put in place to prevent this dangerous situation. Use of physical or chemical restraints. In limited circumstances, restraints may be used with a doctor’s consent or in an emergency situation. However, physical and chemical restraints may have significant side effects and should not be used just to make things easier for nursing home staff. Failure to maintain clean and safe facilities. Cluttered hallways, slippery floors, trip hazards, and other unsafe conditions can lead to dangerous falls or infection from unsanitary conditions. Falls. Nursing home staff members have a duty to assess whether a resident is at risk of a fall injury and to take appropriate precautions to prevent falls. Violation of government standards. Government standards exist to protect nursing home residents. Violation of these standards may be evidence of neglect. Other forms of negligence. Negligence occurs any time a staff member is distracted or fails to provide reasonable care to a resident. This may be a cell phone call, a personal situation, or another form of distraction, for example. Any of these things—or other forms of abuse or neglect—may result in serious injuries. What Injuries Are Caused by Nursing Home Neglect and Abuse? Death. This is obviously the most serious injury that may be suffered. Any of the injuries described below—or other injuries—may be fatal. Infections. Infections may quickly make a nursing home resident very ill and they can be deadly. Fractures. Bone fractures can be painful and the resulting lack of mobility may be deadly. Bedsores. Nursing home residents may be more susceptible to bedsores or pressure ulcers, but such injuries are not inevitable. Instead, nursing home staff members have a duty to take reasonable precautions to prevent bedsores. Additionally, they have a duty to check for bedsores so that any pressure ulcers can be treated promptly if they do occur. Suffocation. Suffocation can occur in bed rails, in clothing or bed linens, or while eating if the resident is not properly attended to by staff members. Sexual abuse. Sexual abuse is a deliberate act by a staff member, another resident, or a visitor that can result in serious physical and emotional health consequences for a resident. In order for your loved one or your loved one’s estate to recover for these types of injuries, your loved one or her representative must take action. How Can Your Loved One Recover From Nursing Home Neglect or Abuse Injuries? Medical expenses. Doctors’ visits, hospital stays, surgeries, medications, assistive medical devices and the cost of other healthcare expenses may be recovered. Out-of-pocket costs. Any out-of-pocket costs incurred as a result of nursing home abuse or neglect may be recovered in an Iowa lawsuit. This includes—but is not limited to—funeral expenses or the costs of moving your loved one to another nursing home. Pain and suffering. The physical pain and emotional suffering of your loved one should not be ignored and a financial sum should be included in her recovery to compensate her for her pain and suffering. It may also include any other damages that you can prove were the result of nursing home neglect or abuse. Take action if you suspect abuse. Your first actions should be to protect your loved one’s immediate well-being. This may include calling her doctor, removing her from the nursing home, monitoring what happens in the nursing home more closely, or other actions. Report alleged abuse. Any concerns of abuse should be reported to the proper Iowa authorities, to your loved one’s doctor, to a nursing home abuse attorney, and to the nursing home administrator. Avoid mistakes that could hurt your loved one’s claim. This may include notifying the nursing home administrator before you talk to a lawyer or protecting evidence from being destroyed. How to collect evidence. This may include the testimony of other residents, visitors, or staff members and your loved one’s medical records. How long you have to file a case. Iowa law gives your loved one or her estate two years to file a lawsuit in most cases. Who can bring a lawsuit. 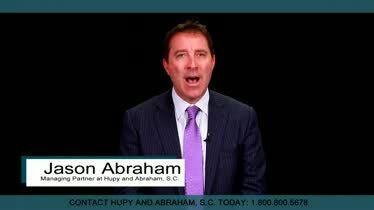 If your loved one is alive and of sound mind, then she has standing to bring a lawsuit. If a guardian has been appointed for your loved one then the guardian may bring the case, and if your loved one has passed away then the administrator of her estate may file a lawsuit. How to use expert witnesses. Expert witnesses may be needed to help prove what happened in the case or the extent of the injuries. How settlements work. Settlements are negotiated. Typically, the injured party’s attorney will send a demand letter to the insurance company and formal negotiations will begin. Once a settlement is reached, it is binding and additional damages may not be recovered in the future. Recognize signs of potential abuse or neglect. This may include agitation, anger, fear, sadness, medical changes that cannot be explained by a doctor, and other physical, behavioral, or emotional changes in your loved one. Recognize risk factors that indicate your loved one could be in danger. Risk factors may include dementia, an inability to communicate, and times of transition such as move-in day. Advocate for her needs. Your loved one may be unable to speak up for herself and may count on you to do it for her. But the burden of protecting your loved one should not be only on your shoulders. The nursing home should also be protecting your loved one, and if it isn’t doing its job then you should work with an experienced lawyer who will help your loved one get the recovery that she deserves. Together, our lawyers have more than two centuries’ worth of legal experience and a reputation for protecting personal injury victims. 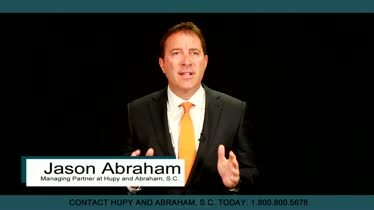 Call us today at 800-800-5678 to schedule a free consultation and let us help your family during this difficult time. Are You or a Loved One a Victim of Nursing Home Abuse? We know what it takes to successfully represent your family in the event of this kind of tragedy. 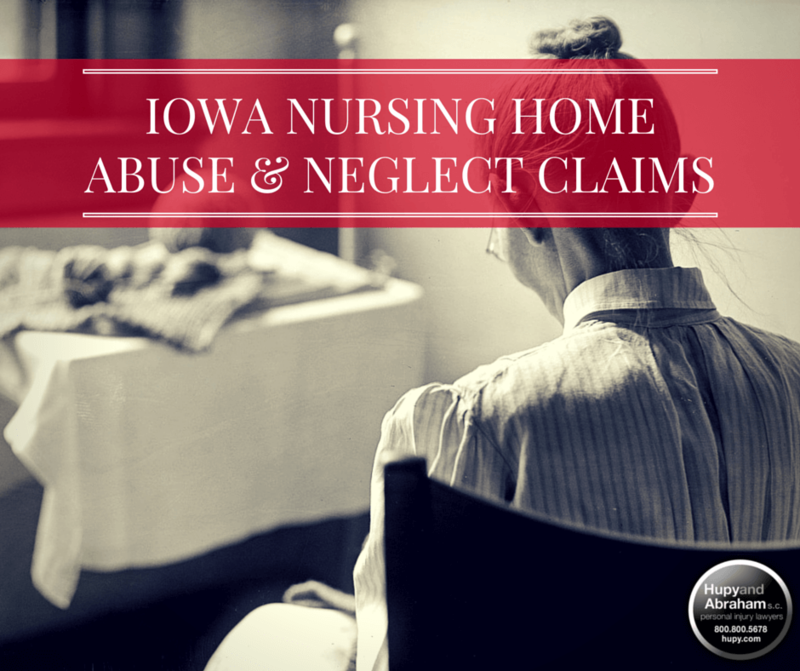 What Qualifies as Nursing Home Abuse or Neglect? One question I’m consistently asked is, What injuries fall under the category of nursing home abuse or neglect? 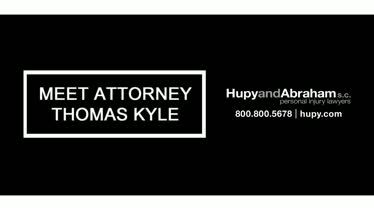 Learn More About Attorney Thomas Kyle Attorney Kyle represents victims of serious injury and death. He has been granted the coveted AV rating by Martindale-Hubbell.